Does charcoal pull calcium away from the teeth? At Dental Dorks we have exposed our teeth to all kinds of products in the name of research. When social media exploded about activated charcoal and its ability to whiten teeth, this was no news to us. In reality, it was old news, almost as old as the Roman Empire. Charcoal has been used for thousands of years as teeth cleaning substance. So, its ability to whiten and shine your teeth is true and it is no news. However, it can also be quite harmful to your enamel if used too often. 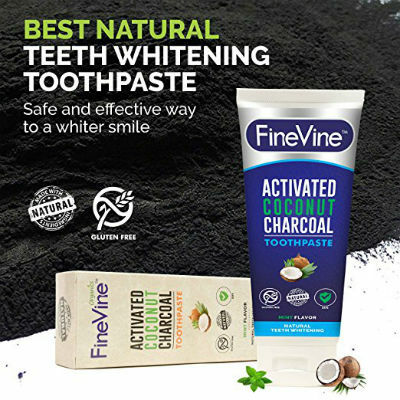 If you are on the fence about buying a whitening product with charcoal in it, check out the two recommended products below. Give either of these products a try. Within 2 weeks you will be able to see a significant difference in the shade of your teeth. But, do not use them for more than 4 weeks and more than twice a day. Check out reviews of the top charcoal based toothpaste on the market. Keep reading if you are not convinced about the validity of charcoal whitening products. 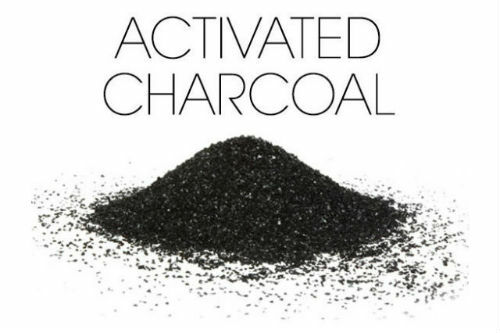 Also known as activated carbon, activated charcoal is a form of carbon processed through high temperatures and combined with activating agents. Gas is the most common activating agent used to create active carbon. Active charcoal can be made from a variety of elements, such as coal, peat, coconut shell or wood. It is most common medical uses are to reduce intestinal gas (flatulence), lower cholesterol levels, treat poisoning, and even help get rid of your morning hangover. Drugs and toxins bind to charcoal, and so when consumed orally, it can help rid the body of unwanted substances. In this line of thought, activated charcoal whitens your teeth by absorbing plaque and other teeth-staining compounds. There is no magic behind this, nor is there any secret ingredient, like many oral hygiene commercials suggest. The pores of the already active carbon stick to the rough parts of the teeth. The same parts that are housing plaque and stains. If given enough time, the charcoal will eventually serve as a duct tape by gluing teeth staining substances to its particles. Once you wash the carbon, the yellowish substances will be washed away as well. This is how the whitening effect is achieved. However, if the natural color of your teeth is not white, active carbon will likely fail to give you the desired results. The substance itself does not have whitening capabilities. Activated charcoal is considered to be safe. This is why it can be ingested in reasonable quantities in order to fight off poisoning. However, when it comes to the overall and prolonged health of your teeth, it can be harmful if overused. The mineral can damage the enamel of the teeth if it is continuously scrubbed against it. This is why it is not recommended to use charcoal for prolonged periods of time (4 weeks or more). Be very cautious when applying charcoal to your teeth. Avoid performing this if your gums are bleeding or you have open wounds, cuts or abrasions in your mouth. If you are serious about using active charcoal for your oral hygiene routines, make sure you consult your dentist first. First, decide if you want to use toothpaste or powder. Second, have a dedicated toothbrush to the process. Most brands will ship you a black bristle brush when you make your first purchase. Use it! 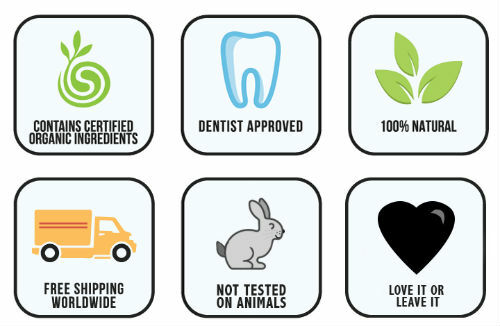 The products that we recommend are already formulated for brushing. 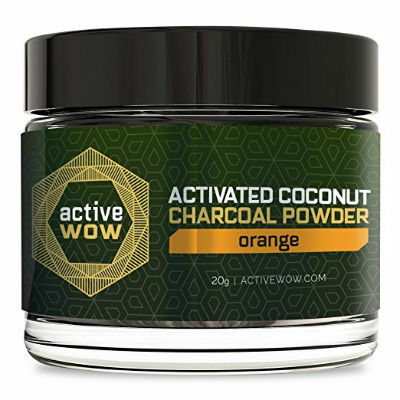 So, even when you are buying an active charcoal powder product, you do not have to mix it with anything. There are various powders that come in tablets and need to be mixed with water. If you are getting such a product, make sure you only dab or tap the mixture onto your teeth. To avoid damaging your teeth, do not rub or brush hard with the product. Leave it for 2 minutes, and then rinse your mouth thoroughly. If you are using the ready products that we recommend, the procedure is the same as brushing your teeth. Apply the charcoal powder mix or toothpaste onto the brush head, and brush your teeth for 2 minutes at a time. You can wait 15 seconds and then rinse thoroughly. It is also recommended to use a regular toothpaste after your charcoal procedure. Alternatively, you can rinse your mouth with your favorite mouthwash. There is no research to indicate that it does. But, there is also no research that claims 100% that it does not. So, it is a slippery slope. The majority of dental papers that we came across claim that charcoal only binds to the organic compounds, and not minerals. If this is true, then it should not be pulling the calcium from the teeth. Our research and testing did not indicate any such problems. Online reviews also do not mention staining of surfaces, such as crowns, veneers of fillings. Finding a product that is all natural and organic is ideal, but also expensive. Anything made from coconut shell is good. Additional ingredients that help in the whitening process are bentonite and orange seed oil. These ingredients are also recommended if you have sensitive teeth. Do I Brush My Teeth After I Use Crest White Strips? 1.3 How do you whiten your teeth with charcoal? 1.3.1.1 Does charcoal pull calcium away from the teeth? 1.3.1.2 Does it stain crowns/veneers/fillings? 1.3.1.3 What to look for?